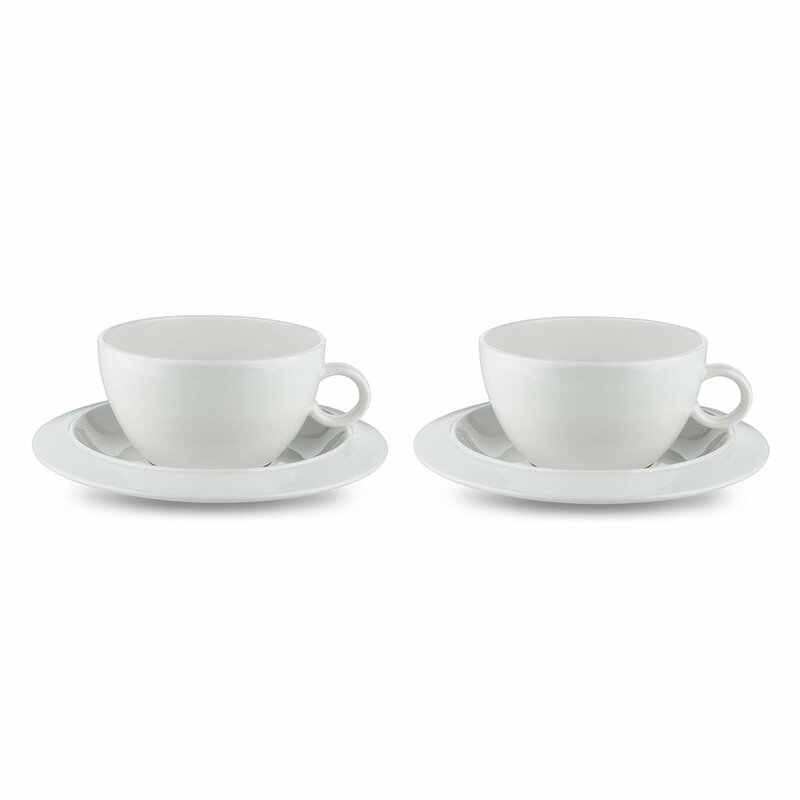 This two cup Bavero tea set with saucer is ideal for enjoying any break. 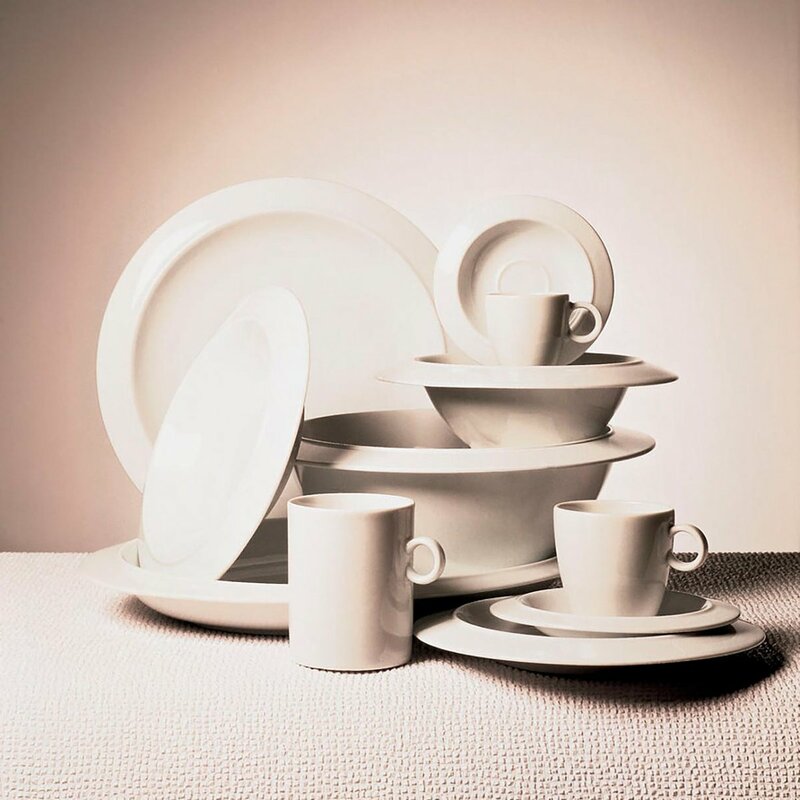 Made of bone china porcelain, it is light and pleasant to use. He was born in Milan in 1918. As early as 1940 he dedicated himself to testing industrial production with brothers Livio (1911-1979) and Pier Giacomo (1913-1968). After graduating in architecture in 1944, he began research into shapes, techniques and new materials, aimed at developing an integral design process. He was one of the founders of ADI in 1956. In 1969, he was authorized by the Ministry of Education to teach "Artistic Design for Industry" and was a professor at Turin´s Faculty of Architecture until 1980 and then professor of "Industrial Design " in Milan until 1993. Since 1950 he has worked in the area of testing and research into outfittings and presentations for exhibitions (Triennale di Milano, Montecatini, Agip, Rai). MoMA in New York features 14 of his works. Other works can be found at:Victoria and Albert Museum (London), Kunstgewerbe Museum (Zurich), Staatliches Museum fur Angewandte Kunst (Munich), Museo del Design (Prato), Uneleckoprumyslove Prague Museum, Israel Museum (Jerusalem), The Denver Art Museum, Vitra Design Museum (Weil am Rhein), Angewandte Kunst Museum (Hamburg and Cologne). He staged a one-man show between 1984 and 1986 organized by the Museum fur Angewandte Kunst (Vienna), then at Akademie der Kunst (Berlin), Triennale di Milano (Milan), Kunstgewerbe Museum (Zurich), Haags Gemeentemuseum (the Hague), Circulo de Bellas Artes (Madrid) and at the Centre Georges Pompidou (Paris). 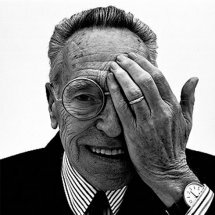 Achille Castiglioni died in 2002.